This Sign System uses Screw Caps for Mounting Signs! Mirror Caps Include (4) Mounts! This sign system utilises screw caps to mount your signage onto a wall for passersby and potential clients to see. 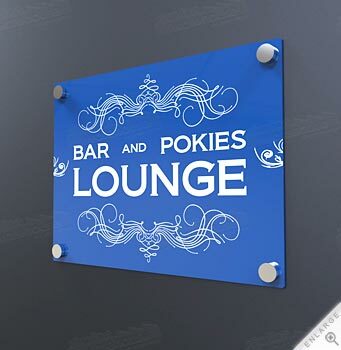 A wide variety of different businesses, including exhibition halls, conference centres, retail stores, restaurants, bars, and office parks, use these signs to display company logos and provide direction to visitors. The brass screw cover, sign system is made from solid brass to provide a durable display made out of a premium material without the cost. The polished chrome finish of the cap easily works with any environment, allowing this long-lasting display to be used with any decor! 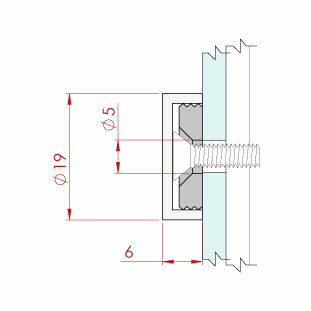 The sign system, also known as a standoff and a brass screw cover, requires a 5mm hole to be drilled through your sign for mounting. The 19mm diametre cap hand-tightens to threaded washers to hide the screws and ensure your display has a professional appearance to visitors. The sign system has installation hardware included with the kit. 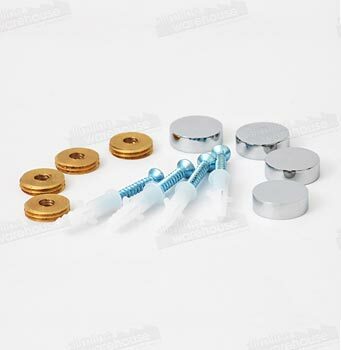 These wall anchors will install onto most surfaces without any issues. Order the brass screw cover today to help make an attractive sign that will draw in customers without breaking the bank. These mirror caps represent only one of the many styles currently offered. In addition, we have a huge range of standoffs in multiple sizes, finishes, & makes that will really help garner attention at your business. The screw caps are a high quality display that is in stock now! Browse the online catalogue today to see our lightboxes, even displays, brochure holders, poster stands, cigarette bins, & more options to place at your company. Slimline Warehouse has been providing high-quality products at low prices for many years. 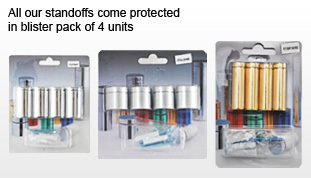 We also provide same day despatch on products with orders paid prior to 1pm EST. Sydney, Melbourne, Brisbane, Adelaide, Perth, Darwin, Hobart, & Newcastle are just some of the cities we ship to Australia-wide!